His role will include collaboration "in the sphere of culture, public and youth exchanges"
MOSCOW, August 6. /TASS/. American actor Steven Seagal, who was appointed as a "special representative" of Russia’s Foreign Ministry on Russian-US humanitarian ties, hopes that in his new capacity he can strive for peace and harmony and will manage to achieve positive results. That is according to the actor’s statement he posted on Twitter on Sunday. "I am deeply humbled and honoured to have been appointed as a special representative of the Russian Foreign Ministry in charge of Russian and American Humanitarian ties. I hope we can strive for peace, harmony and positive results in the world. I take this honour very seriously," the actor wrote. I am deeply humbled and honoured to have been appointed as a special representative of the Russian Foreign Ministry in charge of Russian and American Humanitarian ties. I hope we can strive for peace, harmony and positive results in the world. On Saturday, Russia’s Foreign Ministry said in a statement on its official facebook page that it appointed actor Steven Seagal as a "special representative" on US-Russian humanitarian ties. According to the statement his task will be to promote US-Russia relations "in the humanitarian sphere," adding that the role will include collaboration "in the sphere of culture, public and youth exchanges." The foreign ministry said the unpaid role will be similar to the United Nations' goodwill ambassador positions. 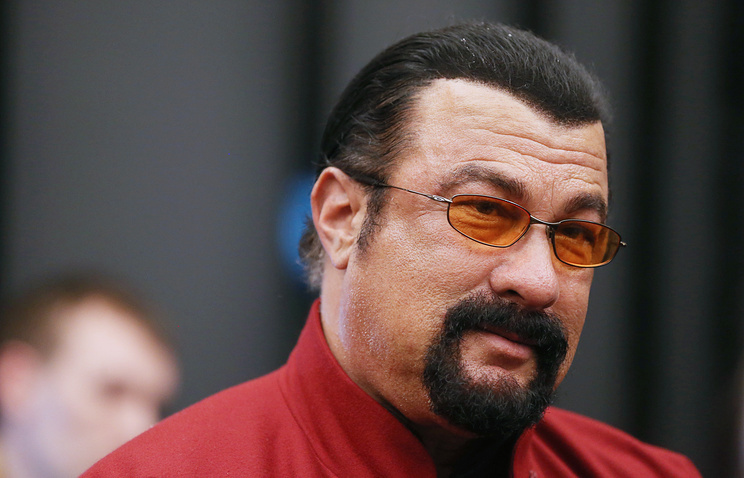 Steven Seagal was granted the Russian citizenship in November 2016. He often visits Russia and repeatedly expressed his affection for this country. Beta-version. Some publications may contain information not suitable for users under 16 years of age.